CN’s record 2018 capital plan includes a bump in capacity investments, such as in yards and intermodal terminals. Canadian National plans a CA$3.2 billion (US$2.59 billion) capital program in 2018; a record for the railroad, as well as an increase of approximately 23 percent over its 2017 program. 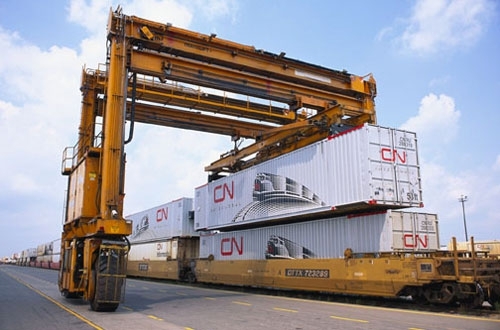 CN says the program will focus on key capacity projects to meet growing freight demand and continue investment in infrastructure maintenance to enhance safety and efficiency. 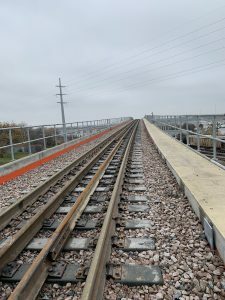 Within the Class 1’s planned CA$1.6 billion (US$1.2 billion) track and railway infrastructure maintenance envelope is the replacement of 2.1 million crossties, more than 600 miles of rail, as well as bridge work and other general track maintenance. 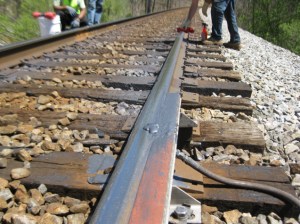 The maintenance spending is consistent with what the railroad has spent during the past three years on basic maintenance. What is driving the bump in the program in 2018 is the planned CA$700 million (US$563.4 million) on capacity investments in both infrastructure and equipment. Michael Cory, chief operating officer and executive vice president, said during CN’s 2017 Q4 earnings call that the capacity investments are aimed at a simple target: keeping trains moving. “Our trains will continue to get bigger. With more trains on the network, we must reduce the number of times trains have to stop from meeting and the duration of that stop. 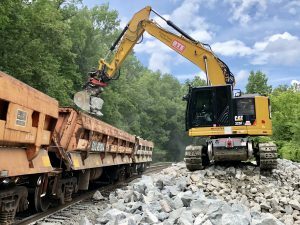 That is why a number of our investments are targeted for building double-track sections where our big trains can meet without stopping,” said Cory. Approximately CA$400 million (US$321.9 million) is expected to be spent on equipment, including the acquisition of new high horsepower locomotives. 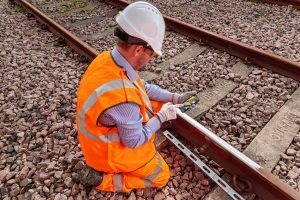 A further CA$800 million (US$643.9 million) is targeted towards initiatives to increase capacity and enable growth, such as track infrastructure expansion, investments in yards and in intermodal terminals; and on information technology to improve safety performance, operational efficiency and customer service. 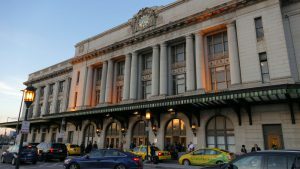 The company plans to invest approximately CA$400 million (US$321.9 million) in 2018 on the implementation of Positive Train Control (PTC) along 3,500 route miles of its U.S. network. CN plans to invest a total of US$1.4 billion on PTC capital expenditures by 2020.